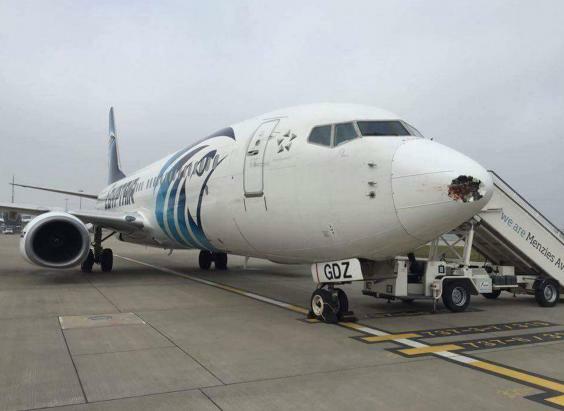 A bird strike left a hole in the nose of a plane that was landing at Heathrow airport on Friday. The Boeing aircraft that flew in from Egypt was close to the runway in London when it was hit by the bird, reported DailyMail. There were 71 passengers onboard and the pilot landed the plane safely. The aircraft was grounded and the damage repaired.